Lonesome George's species may have died with him in 2012, but he and other giant tortoises of the Galapagos are still providing genetic clues to individual longevity through a new study by researchers at Yale University, the University of Oviedo in Spain, the Galapagos Conservancy, and the Galapagos National Park Service. 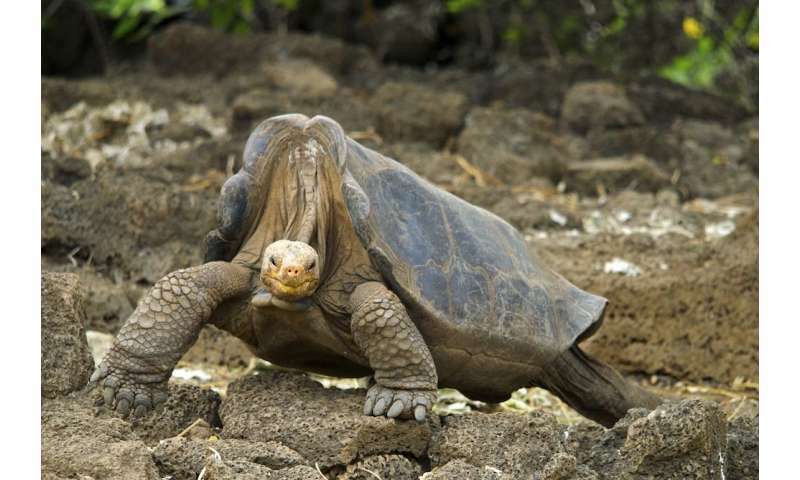 Genetic analysis of DNA from Lonesome George and samples from other giant tortoises of the Galapagos—which can live more than 100 years in captivity—found they possessed a number of gene variants linked to DNA repair, immune response, and cancer suppression not possessed by shorter-lived vertebrates. "We had previously described nine hallmarks of aging, and after studying 500 genes on the basis of this classification, we found interesting variants potentially affecting six of those hallmarks in giant tortoises, opening new lines for aging research," Lopez-Otin said.